This is for one felt flower headband. The satin lined headband is 13inch around and fits both adults and children. The flower is made out of 100% wool felt. The petals are hand cut. 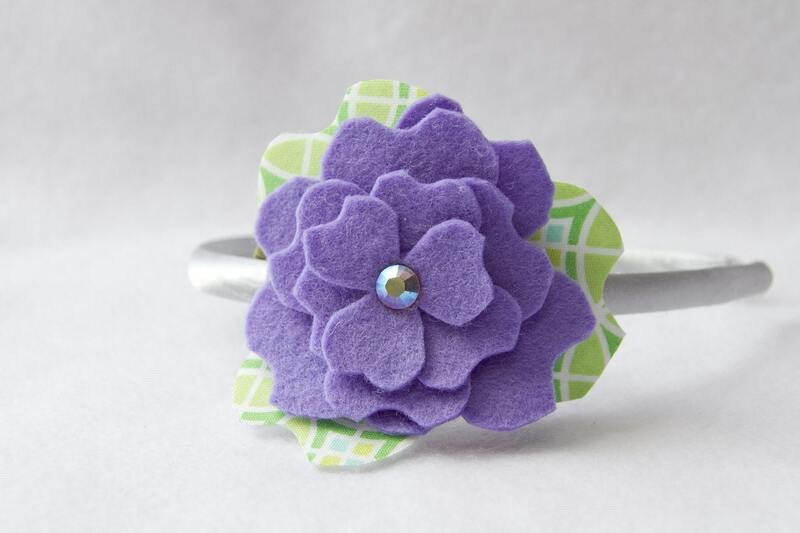 The flower is accented with a Swarovski rhinestone. The flower itself is approximately 3.5 inches. Folksy :: Buy "Purple Flower Corsage Headband"
Folksy :: Buy "HAND CROCHETED purple Boho HEADBAND WITH FLOWER"